With the main focus on full Custom Cars, we might forget that back in the day the majority of the Custom Cars were very simple, mildly restyled cars. 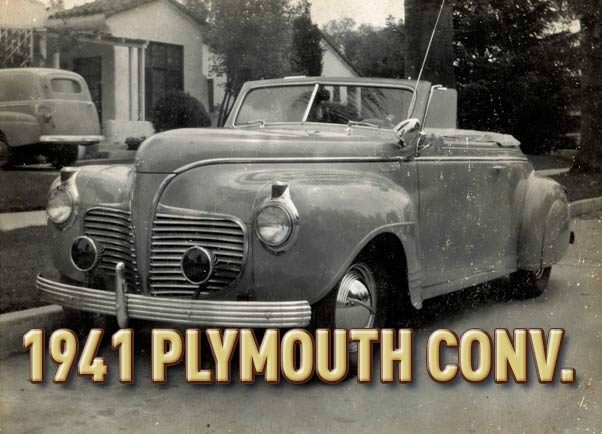 This 1941 Plymouth Convertible is a prime sample. 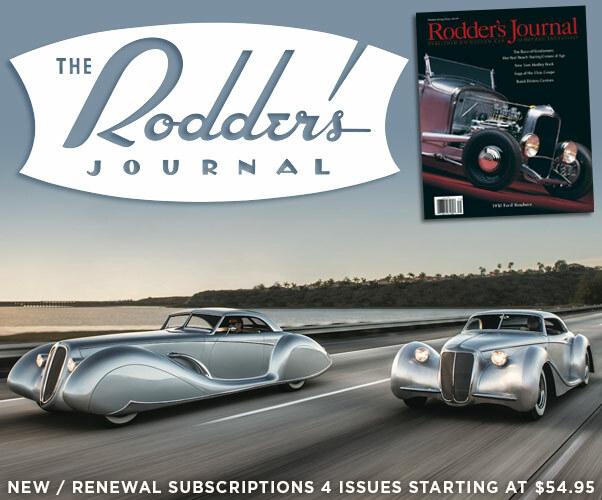 This article is about an 1941 Plymouth Convertible mild Custom, or Street Custom as they might have been called back in the 1940’s. The car was owned and most likely home customized by an unknown Californian owner. The photos in this article all come from separate eBay auctions, most likely (I forgot) from the same seller sold over a period of several years. Most likely taken from an photo-album found at a yard- or estate-sale. The opening photo showing the car from the front 3/4 was the first one I came across on eBay, and I really liked the photo so I placed a bid and won it. many month later I noticed one more, and that went on a few times. Perhaps they have been more sold before I found out about the my first photo, who knows. 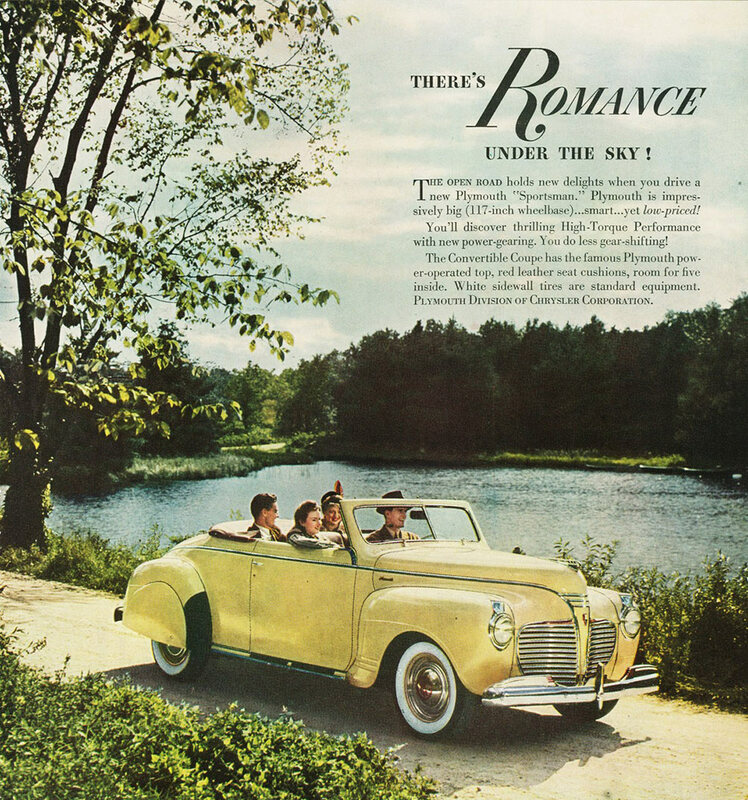 1941 magazine ad showing the stock 1941 Plymouth convertible. 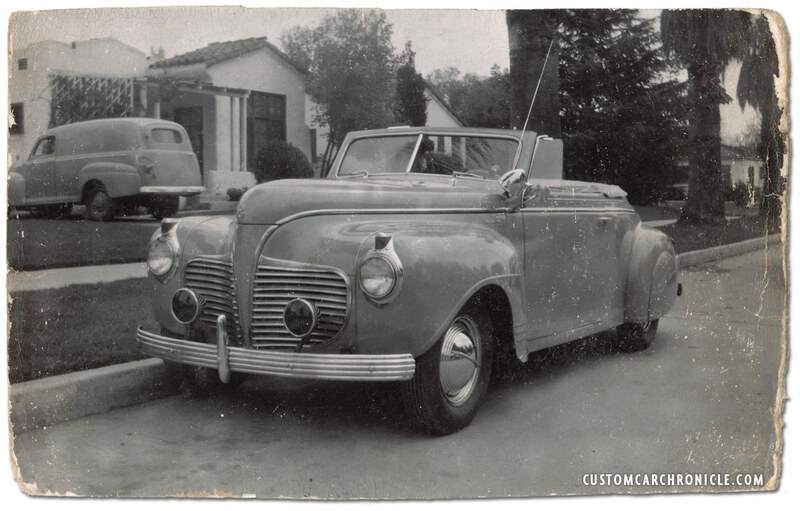 I was born in 1967, so I do not know this first hand, but from what I have been told by the people who where there in the 1940’s, this Plymouth is a prime sample of how most of the Custom Cars looked like around town. Very simple bolt on Custom parts, like the Ripple Disk Flipper Hubcaps, the De Soto Bumpers, fender skirts and single Appleton Spotlight. And even the step further, suspension lowering, smoothing of the center grille section, the shaved hood, and trunk and the removal of the running boards with the filled panel below the body is something that could be done with simple tools in the drive way. All these things combined you were able to create a unique look for your car, set it apart from all the cars in the neighborhood, and get the attention from the girls. 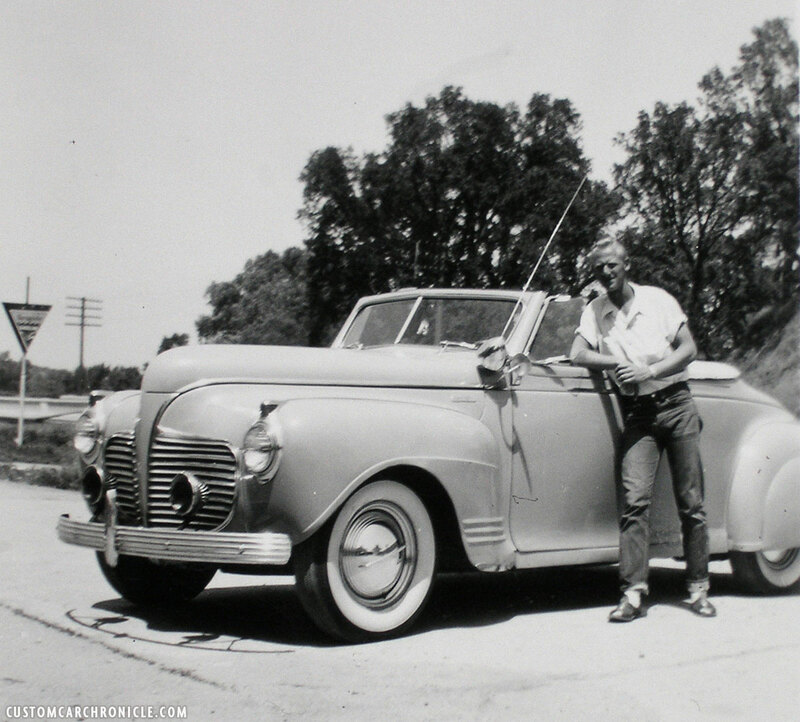 Mildly lowered front and rear, teardrop shape fenderskirts (possibly a factory accessory part), Appleton Spotlight and Ripple Disck Single Bar flipper hubcap 1946 photo. 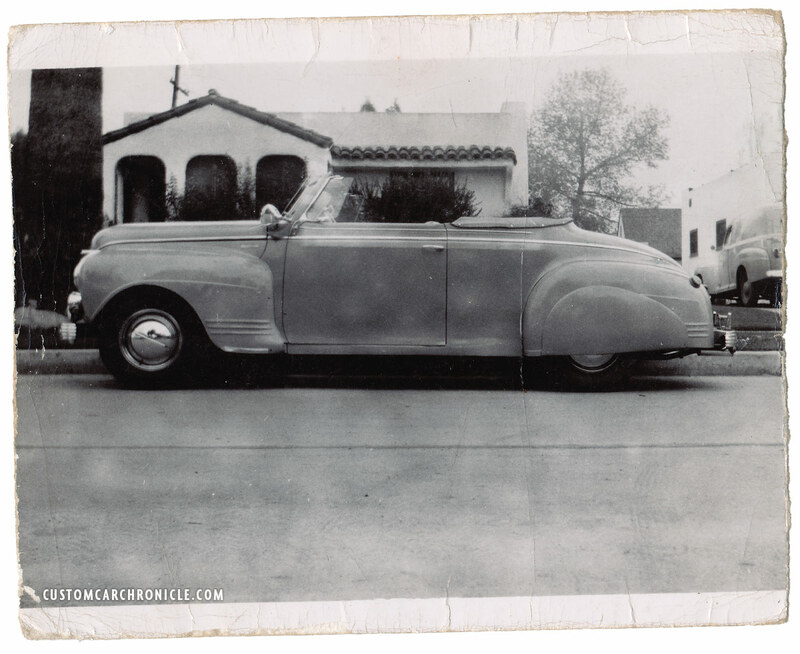 At the rear we can see the 1946 California silence plate, the use of 1937 DeSoto bumpers with unknown bumper guards. The trunk was shaved for a smoother look. This is my favorite photo of the car, also the first one I was able to find. Everything in this photo looks great, the car, the background. 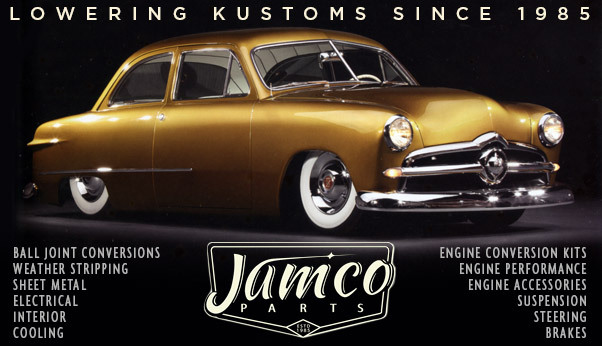 The front DeSoto bumper uses what looks like the ’41 Plymouth single bumper guard, and a set of very popular at the time amber fog-lights. Notice that the car only had one Appleton Spotlight (using two was illegal at the time). 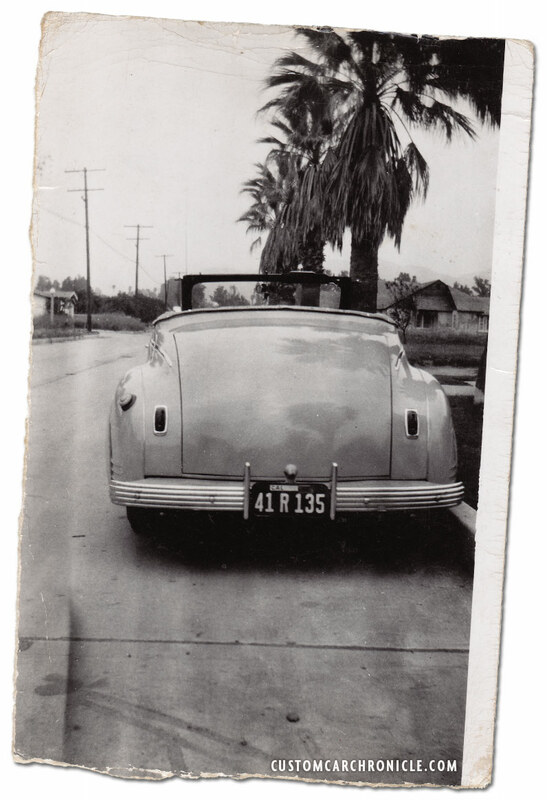 The photos of the car with the black wall tire are taken when the car had a 1946 California license plate on it. Those taken of the car with the white wall tires could be taken earlier, or later, hard to tell. The magazine add mentioned that the white sidewall tires are standard equipment, so most likely the white wall version photos are older, and shortly after WWII the tires had to be replaced and only black wall tires were available at the time. Perhaps an odd choice was to swap the stock, very nice looking bumpers for the older ribbed 1937 DeSoto bumpers It shows that back then these DeSoto bumpers were very popular. Two more photos of the Plymouth, now with white wall tires as part of a photo test sheet. I have no idea who are the people posing with the car, perhaps parents of the owner, girlfriend? The white wall tires give the car a completely different look. 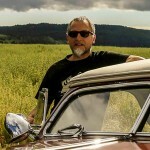 Most likely the owner/builder posing with the car. By the looks of the bright paint and shiny chrome I think that this and the two others with the white wall tires might have been taken during WWII. The owner seams to be very proud of his ride… and it sure is a fine Street Custom. Fun find, Rik. That’s exactly how I remember the various hometown built mild customs across America’s mid-section. As a kid, spotting customs was a major hobby, on rides to visit relatives several States away. Cooped up in the back seat, no air conditioning except a hot breeze in the side window, the anticipation of seeing something unique tempered the boredom over long miles. A fellow didn’t have to do much radical to get the girls’ attention and the guys’ admiration. The mild custom was the way to go. Really no different then Hot Rods of the day. Home built cars done with bolt on parts by people in their driveways.